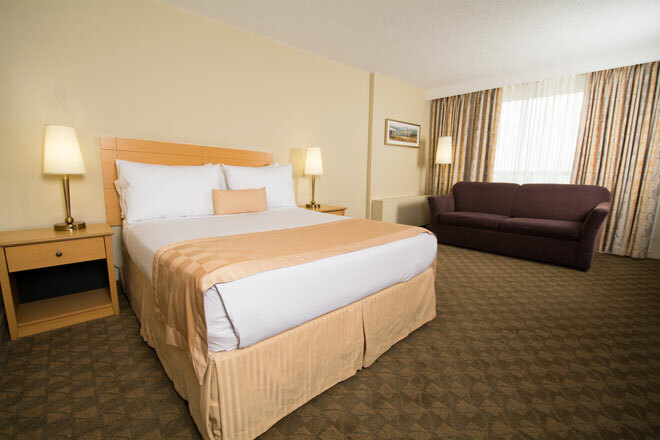 Spend a night at the Edmonton Inn & Conference Centre and you will see why so many people continue to book their meetings, seminars and vacations with us. 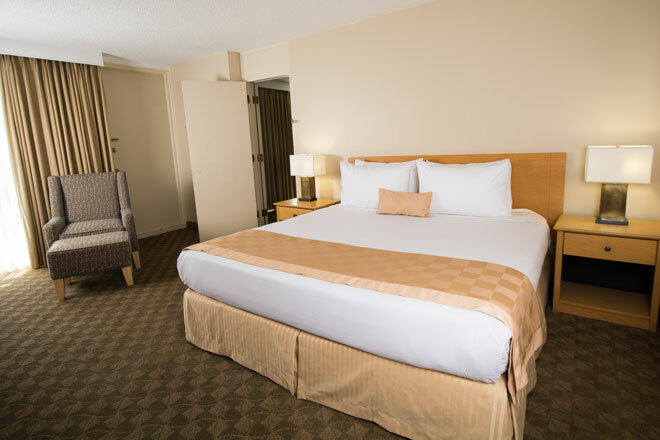 Our rooms are comfortable and always inviting. 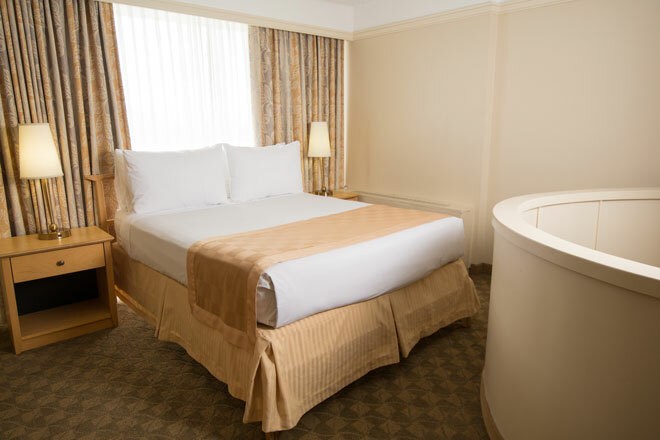 Take your pick from one of our 260 rooms and suites, each with their own unique features. 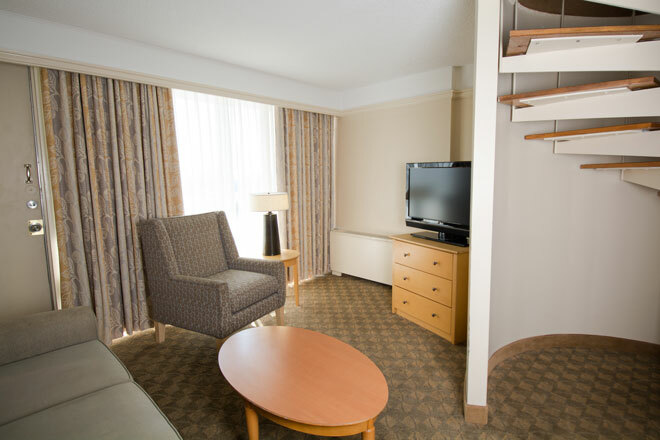 The One Queen rooms are well appointed with everything you need, including a reading chair, desk, table and chairs. Sprawl out in the Serta Perfect Sleeper queen-sized mattress and enjoy a great nights sleep. 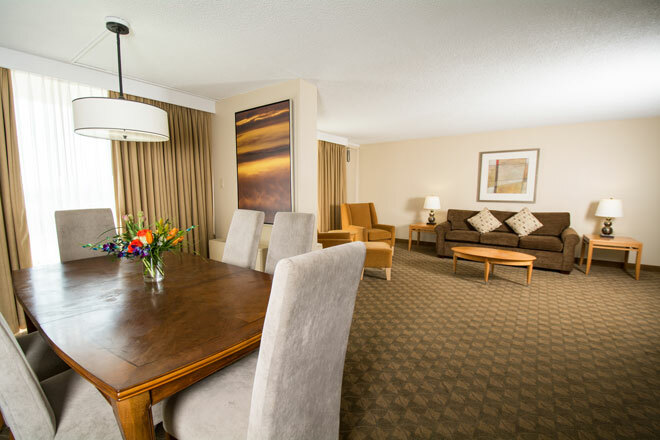 The Superior Queen Rooms are well appointed with everything you need, including a reading chair, desk, table and chairs. 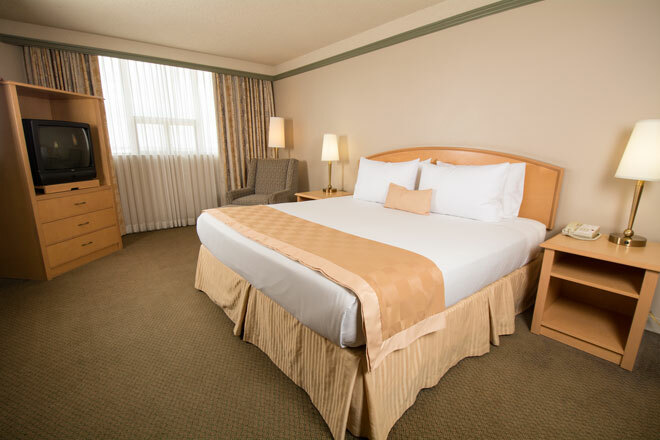 These Superior rooms come with balconies to enjoy the great views of the downtown skyline of Edmonton. Sprawl out in the Serta Perfect Sleeper queen-sized mattress and enjoy a great nights sleep. 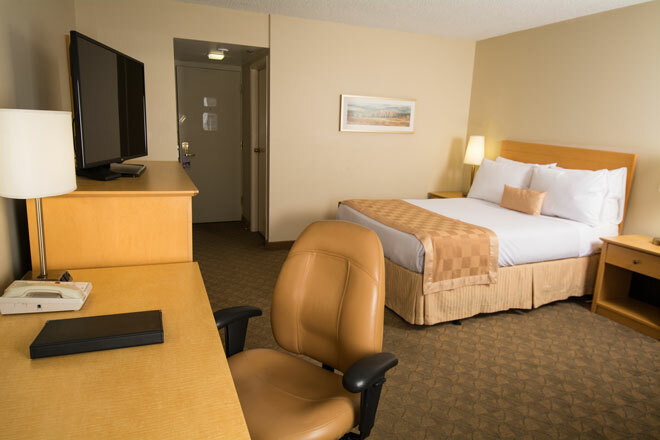 Our Superior Two Queen Room is comfortable, spacious and is perfect for family travel or sports teams.They include a desk, reading chair and spaciously appointed.  Enjoy the Serta Perfect Sleep beds for a good nights sleep! 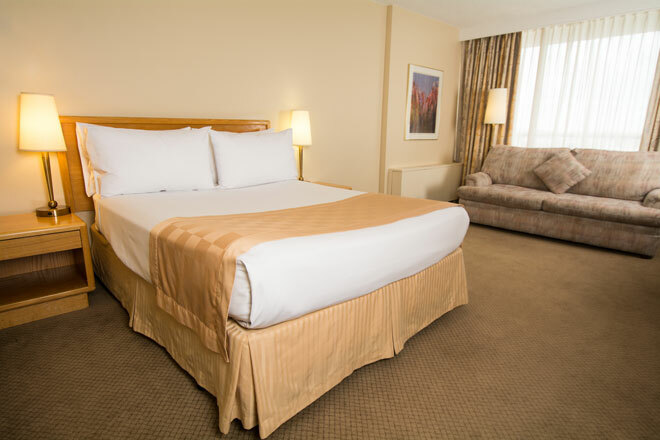 Give yourself the best with one of our spacious Business Queen Rooms - the perfect way to enjoy your stay during a longer trip or special occasion. These rooms offer fridges, microwaves and a queen-sized bed. Enjoy. Give yourself the best with one of our spacious 2 queen business class rooms. 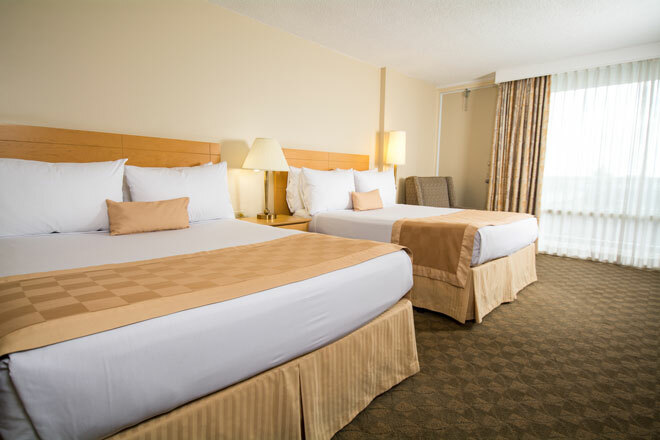 The perfect way to enjoy your stay when traveling as a family or sports teams. 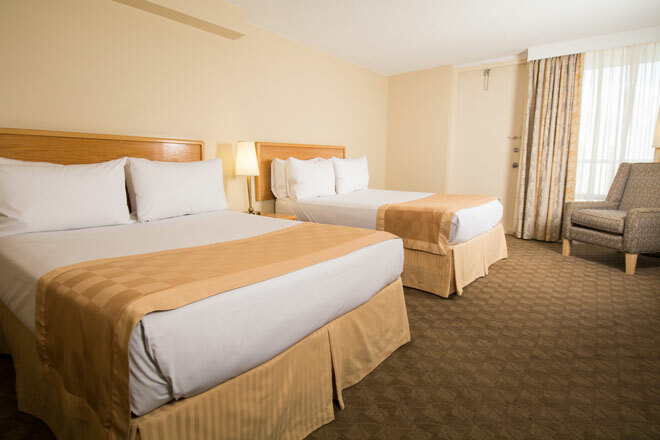 These rooms offer two queen-sized beds with a seating area and personal fridge and microwave. Enjoy. Give yourself the best with one of our spacious Business Class King Rooms during a longer trip or special occasion. These rooms offer fridges, microwaves and a king-sized bed. Enjoy. 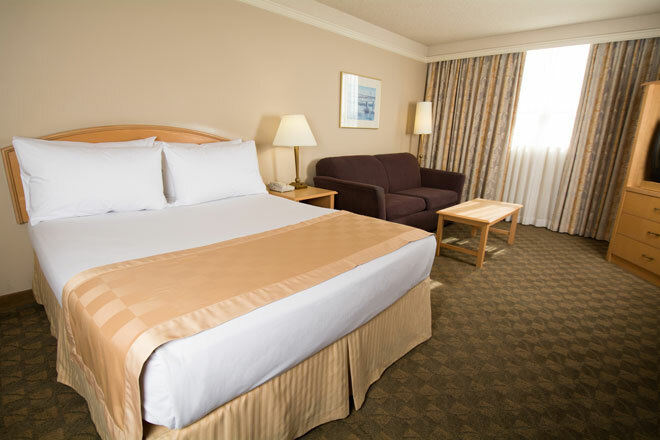 Our Executive Bi-Level Suites are well appointed spacious rooms with business class amenities. 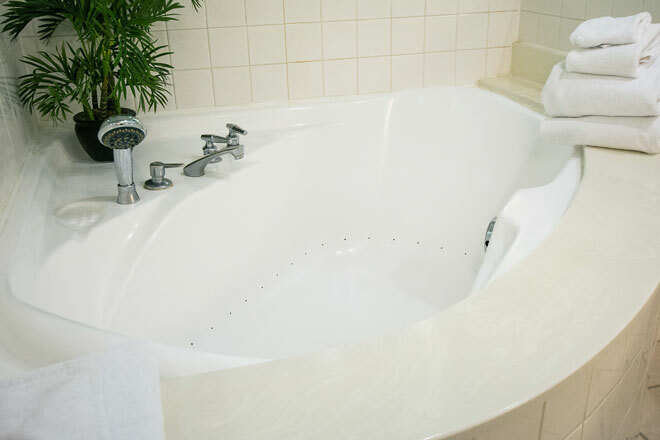 Each Bi-Level Suite comes with a second floor bedroom within the suite as well as a large jacuzzi soaker bath tub. The perfect way to enjoy your weekend away. A separate bedroom area with a living room comes complete with a pullout couch. 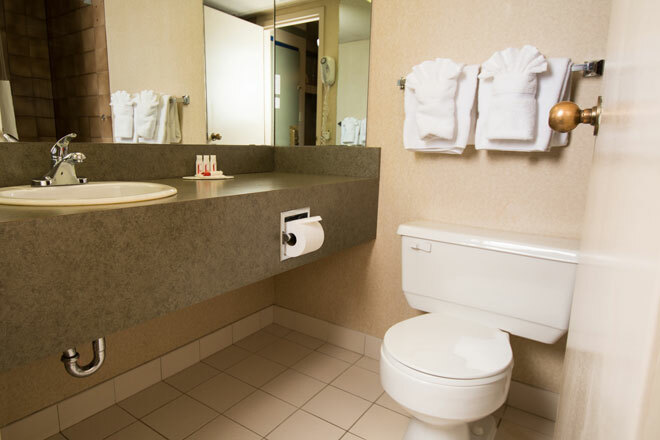 Each suite comes with a personal fridge and microwave. Enjoy. 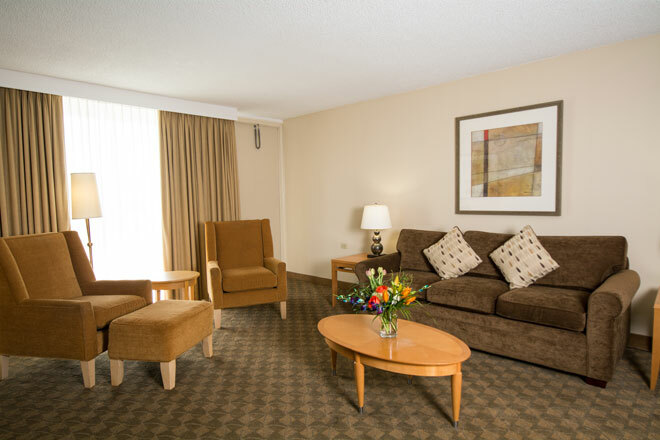 Our Parlour King Suites are well appointed spacious rooms with business class amenities. Each Parlour Suite comes with a bedroom and a separated sitting and entertaining area. The perfect way to enjoy your weekend away. 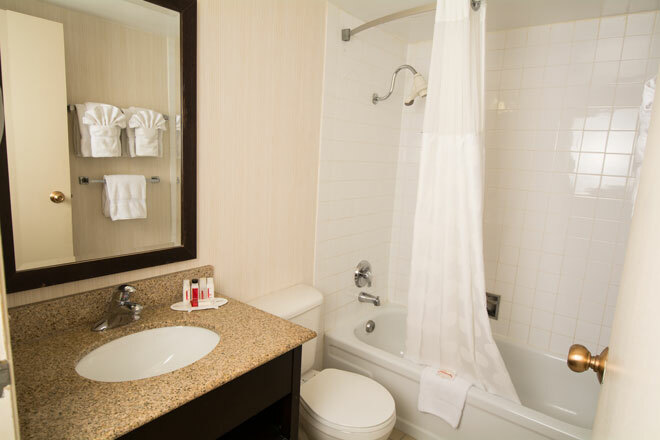 Each suite comes with a personal fridge and microwave. Enjoy.